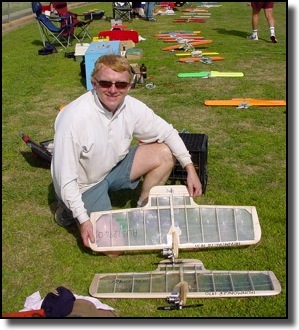 Steve started flying control line in 1962 at KMFC and has been flying models ever since, competing in Combat, Racing and Free Flight with numerous wins and places at Club, State and National level. He spent 1977-78 in Switzerland and took the opportunity to compete in some European contests while there. Still a member of KMFC in 2010 and actively competing, he also makes a range of engines in his Sydney machine shop. Those engines include the eagerly sought after R250 Oliver Tiger replica much sought after by both National and International competitors alike.